* The difference between a sound and a sample is that a sound exists conceptually. For example, this library contains 51 different snare sounds but (because of the round robin) we include +200 snare samples. Everybody was waiting for it! 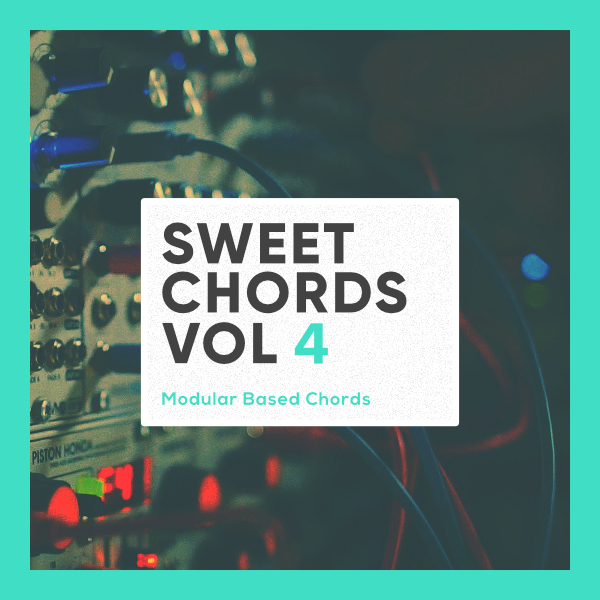 Sweet Chords is back for its fourth instalment, more deep and wise than ever. This time we’ve put together a collection of chords fed by our modular system as the centrepiece, but also coexisting with our beloved Rhodes keyboard. Raw Modular, EPxModularxSynth and Re-SamplingxModular. The first one, is a set of harmonic rich chords sampled using exclusively our modules without any additional external processing; the second one, is an array of Electric Piano chords processed through our modular system, adding complementary synths and on top of that some modular chords; and last but not least, we have a batch of resampled music from friends and custom vinyl pressings processed through our modules, giving to it a singular granular texture. Pure bliss! A total of 1500+ different WAV chords arranged in 69 different construction kits (as many modular patches that were put together in the making). These construction kits have also been put together as Groups for Maschine and Instruments for Ableton with our custom macro programming. Also, due to popular demand, we’ve analysed all chords through a super-intelligent-algorithm (which also makes mistakes) and labeled them with their corresponding keys, for ease of use. What else can you ask for? We can only hope that you trust your guts to take this trip with us to let your creativity go places!